This lamp is typical of the self ballasted mercury-blended products manufactured during the 1960's and 1970's in the UK. The question is often asked as to why these lamps were offered in the round bulbs shape, whereas modern types share the same elliptical glass as ordinary mercury lamps. There are two answers to this question. When mercury blended lamps were first introduced, they were intended as direct replacements for incandescent lamps, hence it was advantageous to employ similarly shaped bulbs of the same dimensions. 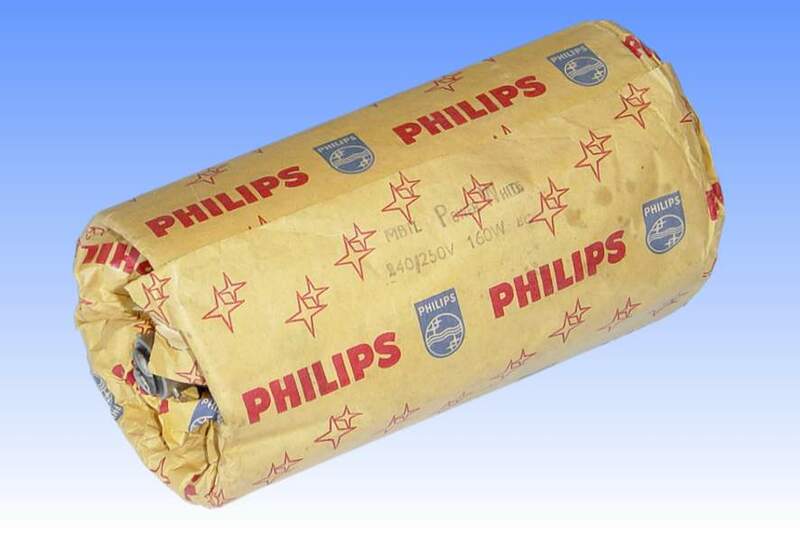 But when fluorescent coatings were introduced to the range in the early 1960s, it was found to be beneficial to maintain the round bulb rather than adopting the ellipsoidal shape which is better suited to conventional mercury lamps. it must be remembered that the sole reason for the elliptical bulb shape is because it is designed such that it assumes a uniform temperature over its surface, thus preventing overheating of the phosphor in certain areas. Phosphors lose efficacy rapidly if they are run at too high a temperature. Mercury blended lamps, of course, contain a tungsten ballast filament in addition to the arc tube. 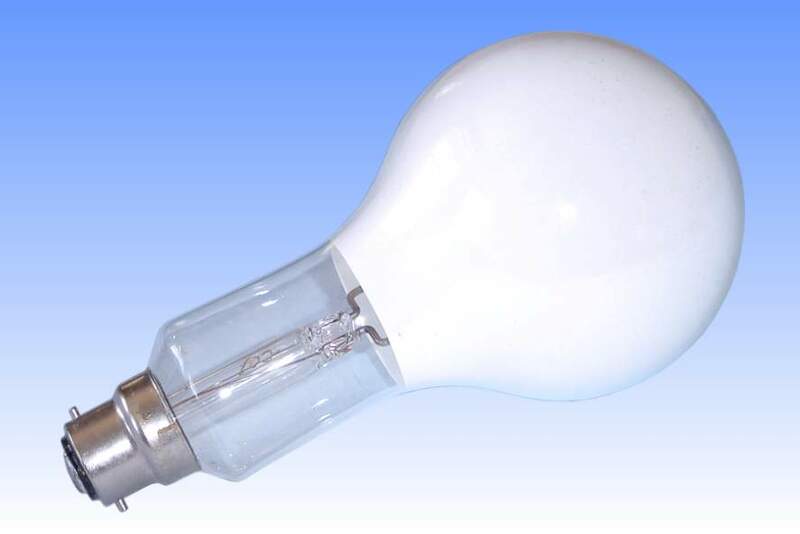 The filament is physically compact and because of its more uniform pattern of heat radiation, it is found that a round bulb shape is better suited to maintaining uniform phosphor temperature. Today, these round bulbs have been abandoned everywhere except a for few Asian factories. The reason is simply because mercury blended lamps are made in such small volumes that the special shape can no longer be justified. References: 1) Philips Lighting Catalogue UK, January 1965.